The key issues were analyzed in the context of the states of Odisha, Bihar, Uttarpradesh, Madhyapradesh, and Tamilnadu, and activities included learning opportunities to improve postharvest management and technologies such as mechanization harvesting options, usage of different types of mechanical dryers, hermetic storage systems and improved rice mills. Other interventions identified are aimed at strengthening value chain support services and tapping local manufacturers of agricultural machinery. One of the highlights of the event was the creation of a postharvest learning alliance, a joint learning process used by IRRI, which seeks to facilitate a multi-stakeholder platform to engage with stakeholders from the public and private sectors. As part of the workshop, participants developed network maps of postharvest stakeholders in the states and analyzed the linkages between them. They also assessed their level of influence and potential level of support to the project. On day two of the workshop, participants developed actor-specific impact pathways for reducing postharvest losses and increasing paddy and seed quality. Participants expressed their appreciation for the learning opportunity. Mr. Rajesh Kumar of Durga Engineering emphasized its positive impact by saying “This is the first workshop that covers major parts of the country. Through this, manufacturers of postharvest technologies became aware about major issues that need to be addressed in order to prevent post-harvest losses”. 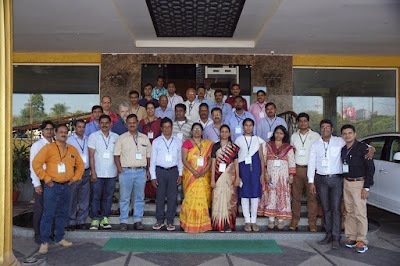 Mr. Dilip Rout and Sangram Patra, farmers from Odisha, expressed their appreciation for IRRI, which has been working directly with farmers for the last 4-5 years. “Before this, post-harvest is the most neglected topic in agriculture, yet most losses happens in this stage”. The workshops provided stakeholders a more concrete way to prevent loss and increase income.